We are significantly smaller than the other congregations in the community, and unique in our commitment to preserving the essence of Judaism without some of the structure and formalities. Temple Isaiah is a warm, welcoming, non-judgmental community of friends. We welcome all who seek a Jewish experience because we provide a setting where each individual can enjoy his or her own level of religious practice, spirituality and intellectual search. We especially welcome interfaith families. We believe that non-Jewish spouses can enrich our congregation’s understanding of Judaism and life in 21st century America. We also warmly welcome Jews-by-Choice on their sacred journey in their religious exploration of Jewish life. Temple Isaiah offers a full range of religious services, courses in Torah and Jewish practice and discussion groups that are open and broad. At a typical Shabbat service, the weekly Torah portion may spark a lively discussion about a current event or social issue. Temple Isaiah is a place where it is easy to get involved and to be heard. If belonging to a “large family” rather than a small synagogue appeals to you – a place where you can maintain and enhance your Jewish connections in a friendly and non-competitive environment – Temple Isaiah may be the right choice. 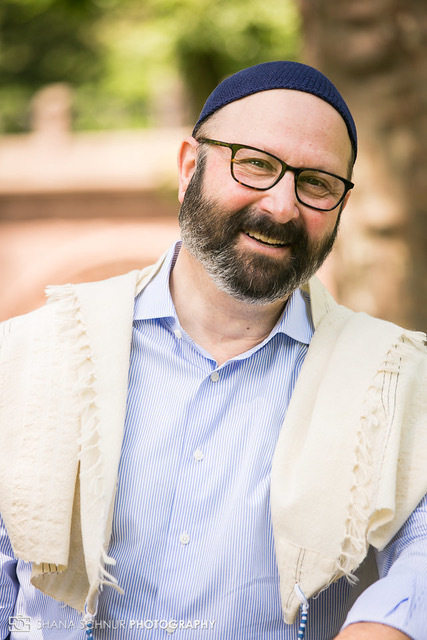 Welcome to Temple Isaiah of Great Neck, and Beruchim HaBa’im – Blessed are those who come and join in with our holy community. With this basic Hebrew greeting, we come to understand that through the members and the participants in our community, blessing can be found. Temple Isaiah of Great Neck is a fully egalitarian and progressive Reform congregation, that has served the surrounding Great Neck community for over 50 years. We are a warm and energetic community dedicated to the highest values of our faith. Through worship, education, cultural and community events, and social action related activities, we seek to create an atmosphere of caring and friendship that meets the spiritual and social needs of congregants of all ages and interests. 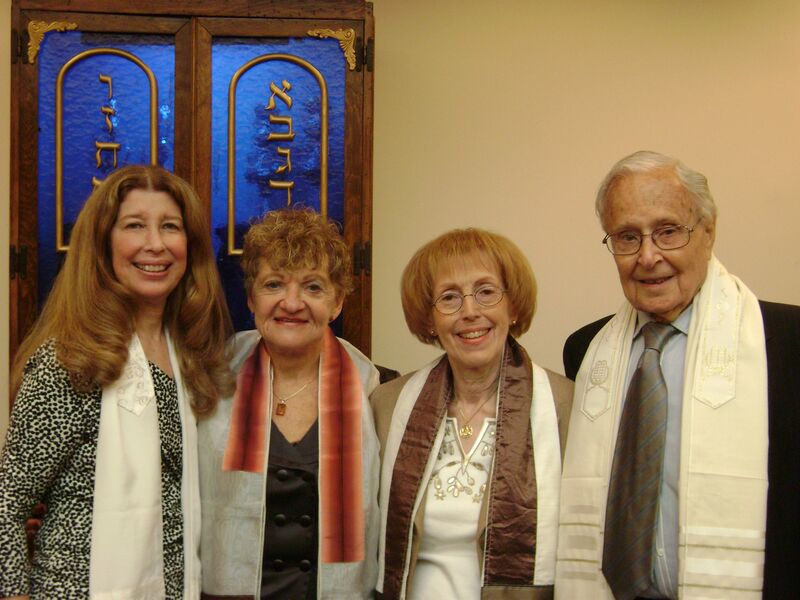 Temple Isaiah of Great Neck welcomes people from diverse Jewish backgrounds and traditions. We embrace LGBTQ families and individuals, as well as interfaith families and those who are not Jewish but would like to understand more about our rich Jewish culture and heritage. I invite you to join us for Shabbat services, or any of our many cultural or educational events. I hope that when you come to our synagogue, for whatever reason, that you will feel how we at Temple Isaiah of Great Neck embody the values of our faith. In the meanwhile, please explore our website to learn more about our holy community. You can reach me at: rabbi.jerry.isaiahgn@gmail.com. For more, please see my columns in the monthly Bulletin. Shalom uvracha – Peace and blessing to you! 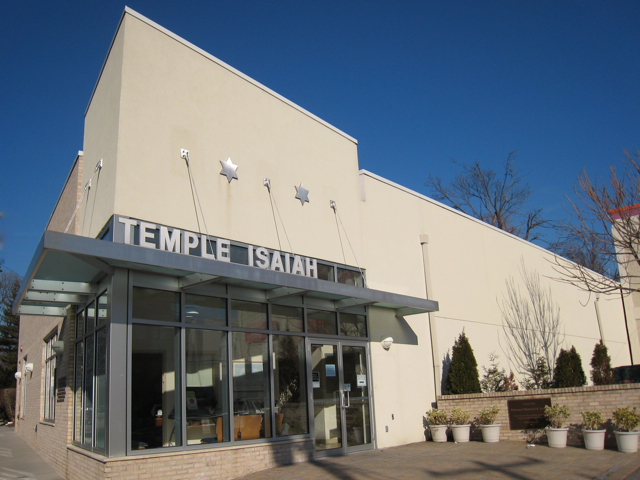 It is my pleasure to welcome you to Temple Isaiah of Great Neck as a member, guest or potential new member. I hope you will find our temple a source of spiritual solace, intellectual stimulation, and friendship. We are an intimate congregation, where “everyone knows your name,” and we pride ourselves in caring for one another — whether it’s a ride to temple on Friday evening, or a call just to see how you’re doing (of course, if you desire privacy, we’ll respect that also). I believe Temple Isaiah is unique among liberal Jewish congregations in the degree of freedom you will feel in expressing your own Judaism. We are a combination of traditional values and practices mixed together with the freedom to try out different ideas of worship. Each of us is on his or her own spiritual journey. Temple Isaiah is an ideal place to allow you to find your way home. For more, please see my columns in the monthly Bulletin. Thank you for visiting Temple Isaiah of Great Neck. We are very proud of the friendly and intimate environment we have created for our members and guests. It is a place where our congregants feel at home as they worship, learn and socialize together. If you are new or thinking of joining our community I look forward to having the opportunity to meet you. Please feel free to attend a service or program so you can experience first-hand all that Temple Isaiah has to offer. Be sure to take a look at our most recent Bulletin or Calendar of events for more information. 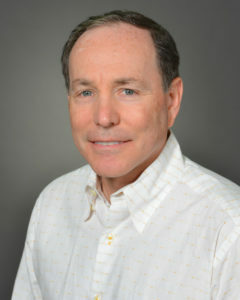 I have been a member of Temple Isaiah since 2001 and joined the Board of Trustees in 2005. Having served as both the Treasurer and Financial Secretary, I am pleased to have taken on the role of President in June 2018. I look forward to working with our Board of Trustees and clergy as we continue to enhance and grow our community. If I can be of assistance or answer any of your questions, please call our office at (516) 487-5373. Never had a Bar or Bat Mitzvah? Or want to relive the experience? We have adult B’Nei Mitzvah classes followed by a Shavuot celebration. Click here for details. Temple Isaiah is host to an electronic archive of video remembrances, letters, photos, and more. Come visit to experience this memorial. Click here for details. This mass priestly blessing takes place twice a year in Israel, during Passover and on Sukkot.